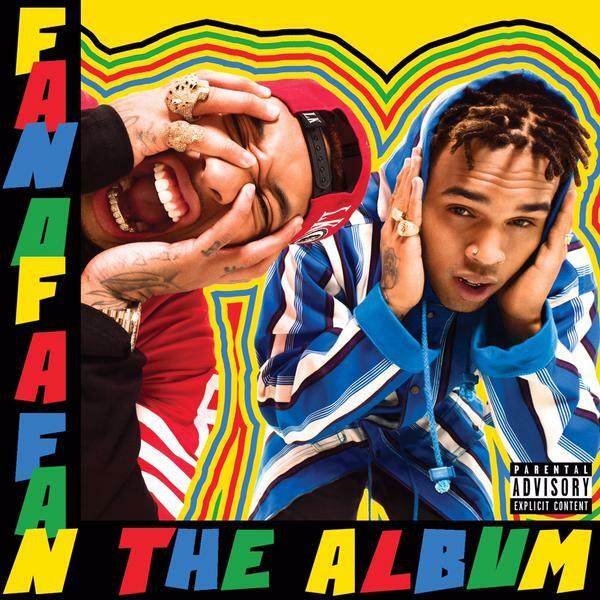 Chris Brown and Tyga are ready to reveal all about their forthcoming new album 'Fan Of A Fan.' The duo have dropped not only the release date, but the artwork and the full tracklisting for the highly anticipated collaborative LP. The 16-track album boasts guest features from 50 Cent on a track called 'I Bet,' Pusha T on 'D.G.I.F.U' and T.I on Bunkin'. In the colourful artwork the two artists are seen channeling Kris Kross as Breezy shows off his new braids, which he first unveiled in some black and white Instagram photos from the shoot. The album is due to be released on 24 February, but before that Chris Brown will team up with Trey Songz for his North American 'Between The Sheets Tour,' which features special guest Tyga.